mPower Technology, Inc., has signed a new licensing agreement with Sandia for the revolutionary microsystems enabled photovoltaics. 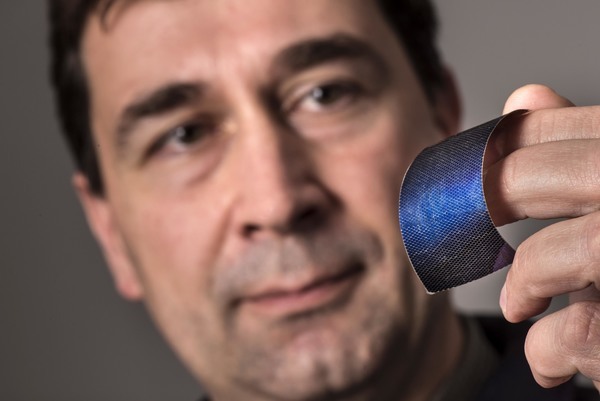 The Sandia-developed technology will be commercialized as Dragon SCALEs: small, lightweight, flexible solar cells that fit into and power devices or sensors of any shape or size, including wearable ones. 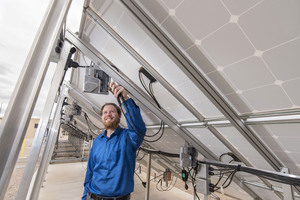 Sandia researchers help industry develop longer-lasting PV panels and increase reliability by accelerating corrosion under controlled conditions. Sandia will help utility companies better visualize, manage, and protect power systems as they integrate increasing numbers of distributed energy resources. Sandia researcher Alan Kruizenga is among 102 scientists and engineers selected to receive the 2017 Presidential Early Career Award for Scientists and Engineers. The Award, established in 1996, is the highest honor bestowed by the U.S. government on outstanding scientists and engineers in the early stages of their careers. 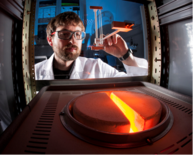 Alan leads work investigating materials compatibility, materials selection, and efficiency-generating technology for solar power systems and advanced reactor concepts. 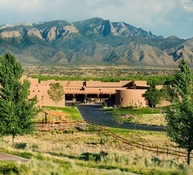 Co-sponsored by Sandia and CFV Solar Test Laboratory, this two-day workshop will be held at the Hyatt Regency Tamaya Resort and Spa near Albuquerque, New Mexico. View the program and register before April 9th to receive the early bird rate.